Walkable Watershed | Providing communities with a “walkable watershed” approach and resources for linking watershed health with community revitalization. At Skeo Solutions, our planning work with hundreds of communities has left us convinced that water can be a significant revitalizing force. 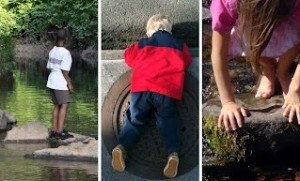 We completed our first Walkable Watershed pilot in early 2012 in a community in Richmond, Virginia. We’ve since led Walkable Watershed projects benefiting communities with environmental justice concerns in more than seven locations across the country. In partnership with the James River Association, Skeo summarized lessons learned in this new guide that includes tips for more effectively engaging underserved communities in watershed planning that results in community benefits. 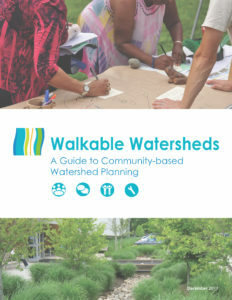 The Walkable Watershed Guide is available to download here! We are committed to promoting the Walkable Watershed concept and supporting communities by helping them adapt this approach to their unique geography, resident needs and vision for creating a thriving future. Please visit the Communities page to learn more.